XTC are one of the most admired and fascinating British bands of the last twenty years. Andy Partridge's lyrics place him alongside Ray Davies as one of the UK's most imaginative songwriters. Their style exposes a love of all things English and draws on angular melody, pure pop psychedelia, rural folk and Sixties beat. Since forming in 1972, their output can be described as nothing less than prolific. Their debut album, 'White Music', released in 1978 was swiftly followed by 'Go 2' in the same year and their status as a great new fiery pop band was assured. Partridge has been quoted as saying that the tunes of this era are "similar to being whacked on the head with a sherbert dipped crowbar". The music is exuberant and untrained but is bursting with the life that is typical of a young pop band. Partridge argues that "we came from the great rock 'n' roll Swindon and enjoyed getting right up people's noses, we didn't know what the hell we were doing, but we did it loud". The following year the 'Drums and Wires' album gave them their first top twenty hit with the infamous 'Making Plans for Nigel' and allowed them to reach a new and eager audience. Their success was strengthened by their next few singles; including the cracking 'Generals and Majors', 'Sgt. Rock (is Going to Help Me)' and the magnificent 'Senses Working Overtime'. All of these were hits in the UK and the band's fame was further enhanced with world tours of lunatic proportions. This was to have serious consequences for Partridge who developed a crippling case of stage fright that ended the group's live stage performances forever. They did, however, continue as recording artists and have produced promotional videos, although at a more reasonable rate than their output in their early career. They have also recorded as their alter-ego 'The Dukes of Stratosphear', their second choice of band name in 1975. Their two albums '25 O'clock' (1985) and 'Psonic Psunspot' (1987) met with great critical acclaim which further galvanised the band to greater things. Released in 1989, 'Oranges and Lemons' proved to be inspired, with Partridge's lexicon wordplay set against a big twelve-string guitar sound. The following release, 'Nonsuch' (1992), was a combination of soaring melodies, the highly reflected and the downright menacing, one of the tracks, 'The Disappointed' was nominated for an Ivor Novello songwriting award. Shortly after this the band departed from Virgin Records. 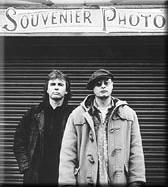 On 27th August 1997 Cooking Vinyl signed a three year deal with XTC (Andy Partridge, Colin Moulding, Dave Gregory) for the world excluding North America. The agreement was with Idea Records, a label established by the band as a vehicle both for XTC and new signings over the coming months. Under the agreement XTC will deliver two albums over the next two years with a possible third album to follow. After not releasing any new work for seven years, 1999 will be the Year Of The New XTC Albums - no less than two volumes of "Apple Venus", the first released in February, and the second to follow later in the year.